Cerebral cortex: a target and source of insulin? Recent results suggest that insulin is synthesised by a subpopulation of neurons in the cerebral cortex and neural progenitor cells of the hippocampus. Supplementing the slow supply of insulin to the brain by pancreatic beta cells, the insulin locally released by neurons provides a rapid means of regulating local microcircuits, effectively modulating synaptic transmission and on-demand energy homeostasis of neural networks. Modulation of insulin production by brain neurons via glucagon-like peptide 1 (GLP-1) agonists might be useful in counteracting diabetes, obesity and neurodegenerative diseases. Replacement of lost pancreatic beta cells by autologous transplantation of insulin-producing neural progenitor cells could be a viable therapy for diabetes. Discovered almost a century ago , insulin is widely known for its essential role in reducing blood glucose levels through the stimulation of glucose uptake by muscle, liver and adipose tissues. Pancreatic beta cells secrete insulin, a process that is crucial for determining blood glucose levels. Beta cells detect extracellular glucose concentrations through the glucose transporter GLUT2. Importantly, unlike the glucose transporters in insulin-sensitive tissues (predominantly GLUT4), GLUT2 is not regulated by insulin, thus the drop in blood glucose level due to the action of GLUT4 triggers a negative feedback mechanism suppressing insulin secretion through GLUT2 positioned on beta cells. Type 1 diabetes mellitus is a consequence of the partial or complete loss of beta cells, which leads to impaired insulin secretion and uncontrolled blood glucose levels (hypoinsulinaemic hyperglycaemia). In type 2 diabetes, insulin levels are indirectly disturbed. Insufficient insulin action on receptors in insulin-sensitive tissues allows blood glucose levels to rise, leading to enhanced insulin release by beta cells. This insulin release is initially capable of restoring normal blood glucose concentrations (hyperinsulinaemic euglycaemia). When beta cells reach their maximal insulin-producing capacity and are no longer able to maintain normal blood glucose, the state of hyperinsulinaemic hyperglycaemia known as type 2 diabetes arises. The function of insulin, however, is not restricted to peripheral organs. In the brain, the insulin-independent GLUT1 and GLUT3 are predominantly responsible for glucose uptake in glial cells and neurons, respectively . Accordingly, brain metabolism has been considered insulin independent for decades, but the discovery of insulin receptors in the brain  now indicates that the cerebral functions of insulin are more complex. Insulin receptors expressed in the brain are similar to those found in the periphery , with the highest expression detected in the olfactory bulb, cerebral cortex, hippocampus, hypothalamus and cerebellum . Insulin receptor levels are higher in neurons than in glial cells . Importantly, there are similarities in the periphery and the brain in the major signal transduction pathways linked to the insulin receptor. The phosphoinositide-3 kinase (PI3)/Akt and Ras/mitogen-activated protein kinase (MAPK) routes crucial to peripheral glucose, lipid and protein metabolism  are also essential in the mechanism of insulin action in the brain [4, 7]. This short paper reviews the classic ideas emphasising the role of pancreatic insulin in the central nervous system , shares the conclusion of excellent recent reviews [9, 10, 11] by arguing that local insulin synthesis in the brain is significant and finally presents potential therapies targeted to or based on insulin synthesised by neurons or their progenitors. As outlined above, a normal supply of insulin in the brain appears to be crucial for neural function, including metabolism, and, consequently, dynamic or persistent alterations in insulin-dependent mechanisms could contribute to pathological processes. The sources of insulin found in the brain are not completely clear. It is generally accepted that insulin synthesised by pancreatic beta cells is delivered to the brain [8, 12, 13, 14, 15, 16], but an accurate picture of this process is missing (Fig. 1) . Pancreatic insulin circulating in the plasma has two ways into the interstitial fluid immediately surrounding neurons and glial cells of the brain. The first pathway delivers relatively small amounts of plasma insulin through the choroid plexus to the cerebrospinal fluid. Plasma concentrations of insulin are an order of magnitude higher compared with those measured in the cerebrospinal fluid [17, 18]. Interestingly, this difference is increased in obesity , despite the higher plasma insulin concentrations in obese individuals. This process is saturable [16, 20], but it is not clear whether saturation is caused by the potential involvement of insulin receptors of the choroid plexus or by the suspected contribution of megalin, a transporter known to mediate leptin transport across the choroid plexus and to be involved in insulin transport  in the epithelial cells of renal tubules . The second pathway takes insulin from plasma into the endothelial cells of the brain microvasculature. Based on experiments showing that aortic endothelial cells outside the brain are able to concentrate insulin , the second pathway is hypothesised to transport the bulk of peripheral insulin to the brain. Mechanisms of transendothelial insulin transport in the brain have not been directly studied to date, but one can speculate that a vesicular trafficking process, beginning with insulin binding to its receptor followed by the involvement of caveolae and promoted by NO signalling [23, 24, 25, 26], could be involved according to experiments with peripheral endothelia. The two pathways join at the Virchow–Robin space surrounded by endothelial cells, astrocytic endfeet and pericytes. Peripheral insulin then passes the line of astrocytic endfeet, an effective filter and limiter of movement speed for larger molecules , before reaching the interstitial space around neurons and glia. Absolute insulin concentrations are difficult to measure reliably in the interstitial space of the brain, but the relative changes detected in response to food intake were independent of plasma insulin concentration [28, 29], raising the possibility that pancreas-independent local insulin synthesis occurs in the brain . The speed of pancreatic insulin transport into the cerebrospinal fluid and then to the interstitial space of the brain is orders of magnitude slower than the operating speed of neural networks estimated according to the lowest frequency of brain oscillations. Insulin levels in the cerebrospinal fluid remain below fasting levels in response to several hours of peripheral hyperinsulinaemic euglycaemic clamping [18, 20] and, moreover, fasting insulin levels in the cerebrospinal fluid (~7 pmol/l)  are insufficient for signal transduction through insulin receptors. Even if insulin concentrations in the cerebrospinal fluid are elevated to effective levels, it is estimated that the slow circulation of cerebrospinal fluid limits insulin delivery to the interstitial space of the brain at a rate of ~1/600 of that to skeletal muscle and at <1/30,000 of that to the liver . Alternatively, insulin might move directly from the plasma through the blood–brain barrier to the Virchow–Robin space and the interstitial fluid. Studies examining the involvement of this route measured the tissue content of radiolabelled insulin in brain regions , which did not allow the insulin concentration in the interstitial fluid to be determined. To date, estimations of the speed by which insulin moves across the blood–brain barrier are limited by brain microvessels binding insulin with high affinity without significant insulin degradation . Nevertheless, insulin finds its way from the plasma to the immediate vicinity of neurons, but equilibration with the interstitial space in the brain is achieved at timescales consistent with long-term homeostatic regulation outside the frequency range (~0.1–200 Hz) of changes in membrane potential in neural networks. The limited speed by which external insulin is distributed is also a factor to consider when delivering insulin to the brain intranasally . This process has gained particular relevance following encouraging reports  and clinical trials  that provide evidence for cognitive improvements with daily intranasal insulin administration in patients with mild cognitive impairment or mild to moderate Alzheimer’s disease. Levels of insulin are reduced in Alzheimer’s disease [35, 36], and intranasally applied insulin raises concentrations in the cerebrospinal fluid within 10 min of application, with maximal levels achieved after 30 min, while plasma insulin and glucose levels remain unaffected . How intranasal insulin reaches the brain remains mechanistically unclear , but the process can be stimulated by inhibiting protein kinase C . A different strategy for increasing insulin concentrations in key areas affected by Alzheimer’s disease, such as the hippocampus and neocortex, would be to boost insulin release from neurons or neuronal progenitors expressing insulin locally. Whether insulin is produced locally in the central nervous system is not a trivial question to answer. Initial studies on the subject suggested that immunoreactive insulin is present in the rat brain in concentrations 10 to 100 times higher than in the plasma , but this was challenged by subsequent findings , leading to the conclusion that ‘little or no insulin is produced in [the] brain’ . The heart of the problem is that experiments must be able to differentiate between insulin of pancreatic origin and insulin synthesised locally. Anti-insulin antibodies recognise the same epitopes on pancreas- and brain-derived insulin, thus methods such as anti-insulin immunocytochemistry or radioimmunoassay capable of detecting insulin in small amounts are not adequate. Increasing the resolution to allow cellular or subcellular localisation of anti-insulin immunoreaction signals is of little help as receptor-bound and internalised insulin pools are degraded or recycled to the plasma membrane at intracellular locations that potentially overlap with those of locally synthesised peptide . Immunoreactions detecting peptides involved in the different steps of insulin synthesis might overcome these limitations. Indeed, C-peptide, an integral part of proinsulin, was localised to the same neurons as insulin [43, 44, 45], and proinsulin-like immunoreactivity was documented in samples derived from the central nervous system , arguing for local synthesis in the brain. Another strategy for detecting insulin production in the brain is to search for the mRNA of insulin-coding genes: Ins1 and Ins2 in mice; Ins2 in rat; and INS in humans. A pioneering RT-PCR study detected widespread Ins2 expression in the rat brain throughout development  and the same laboratory confirmed it in rabbit, showing Ins2 expression in neurons of the hippocampus and olfactory bulb . More recently, hippocampal granule cells from adult rats and neuronal progenitor cells derived from the hippocampus or olfactory bulb were also found to express insulin mRNAs . Furthermore, expression of Ins2, but not Ins1, was found in cortical and subcortical areas of the mouse brain [49, 50] and INS mRNA expression characterised human samples of the hippocampus, amygdala and temporal lobe in addition to the olfactory bulb, cerebellar and pontine regions . Recently developed methods to precisely quantify mRNA copy numbers in single neurons  have provided an effective tool for determining Ins2 levels in several rat neuron types and astrocytes in the rat cerebral cortex . Interestingly, a subset of inhibitory GABAergic neurons, the so-called neurogliaform interneurons, expressed Ins2 mRNA at the highest copy numbers tested, excitatory pyramidal neurons contained Ins2 mRNA at low copy numbers, and other GABAergic neurons and astroglial cells did not express Ins2 mRNA above the threshold of detection . Importantly, the authors found that mRNA copy number was selectively increased in response to increasing extracellular glucose concentrations in the cell types expressing Ins2 , suggesting that neuronal production of insulin could be associated with local metabolic supply and functional demand, especially in neocortical and hippocampal areas of the cerebral cortex. The first experiments showing local release of insulin in the cerebral cortex followed classic ideas of mimicking the effect of externally added compounds with endogenously released substances. In this case, Molnár et al  first determined that external insulin is effective in suppressing spontaneous excitatory potentials arriving at neurons of the neocortex, then, using local delivery of glucose or glibenclamide to neurogliaform interneurons (known to express Ins2 mRNA, see above), forced the release of an endogenous substance that also suppressed spontaneous excitatory potentials. Finally, they blocked this effect with the specific insulin receptor antagonist S961, revealing the identity of the endogenous substance as insulin. Thus, insulin can be released from a subpopulation of inhibitory neurons of the cerebral cortex and has an excitation-suppressing effect in local neural microcircuits. Given the parallel expression of insulin-activated PI3/Akt and Ras/MAPK pathways in the periphery and the brain, a logical question is whether insulin-mediated effects on neurons involve metabolic regulation. Insulin receptors and the insulin-sensitive glucose transporter GLUT4 have been shown to co-localise on neurons , and cellular mechanisms supporting neuronal metabolic functions of insulin involve translocation of GLUT4 to the cell surface , so providing an alternative to insulin-independent glucose uptake through GLUT3. The insulin dependence of brain metabolism at the neural network level has also been revisited by a number of human in vivo studies [55, 56, 57], which suggest that insulin can effectively stimulate glucose uptake in the medial temporal lobe, especially during periods of intensive neuronal activity . Moreover, a rapid increase in local glycolysis following insulin administration was found in the hippocampus and was suppressed in type 2 diabetes . However, glucose levels drop significantly in the extracellular space during intense cognitive operations and might not be rate-limiting for the metabolic supply of microcircuits because of astrocytic metabolic routes . 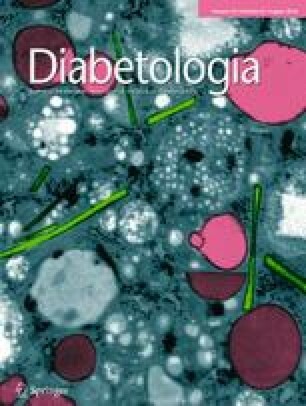 A consensus on neuronal glucose metabolism in relation to insulin is of particular interest for two reasons. First, neuronal ensembles in the hippocampus and the neocortex are engaged in increased high-frequency epochs of firing during memory formation or cognitive tasks and the extra metabolic demand created by intensive action potential generation might be met by alternative routes of supply. An unorthodox pathway of glucose supply during cognitive surges in energy demand was suggested by Emmanuel et al , who proposed that non-insulin-dependent GLUT1 and GLUT3 transport is sufficient for resting brain activity, while sustained cognitive activity induces the addition of insulin-signalled GLUT4 transport. Second, unlike in other organs, glucose is central for the energy metabolism of the brain and temporary or sustained changes in glucose supply could be crucial in differentiating the normal and pathological functions of neural circuits. Cognitive deficits are associated with insulin resistance and diabetes [60, 61] and impaired insulin-dependent mechanisms for glucose uptake during tasks requiring extra supply might lead to deficient energy metabolism . Along the same vein, ‘type 3 diabetes’ was suggested as an alternative term for Alzheimer’s disease , based on observations showing reduced insulin expression and signalling mechanisms in the sporadic form of the disease . In addition to the involvement in neuronal metabolism, the classic PI3/Akt and Ras/MAPK insulin-activated pathways are also important in neuron-specific cellular functions, such as the development of neuronal dendritic arbors  and the maintenance of excitatory synapses [64, 65]. These functions are crucial in regulating cellular processes of learning and memory and lead to long-term potentiation (LTP) or long-term depression (LTD) of synaptic efficacy through the removal of α-amino-3-hydroxy-5-methyl-4-isoxazolepropionic acid (AMPA) receptors from postsynaptic specialisations for LTD [64, 65] and through shifting the stimulation frequency–response function for LTP . Corroborating these results, a deficit of LTP is observed in models of type 1 diabetes, but results from experiments using type 2 diabetes model systems are not unequivocal . Insulin is instrumental in modulating inhibitory mechanisms by moving additional γ-aminobutyric acid (GABA) receptors to inhibitory synapses  and extrasynaptic regions of the plasma membrane , providing mechanisms synergistic with the LTD induction detailed above for shifting the balance away from excitation in neural networks. Neurogliaform interneurons, capable of releasing insulin in cortical microcircuits , are also GABAergic  and use GABA for volume transmission of widespread inhibition , thus these cells are ideally suited to synchronise the local actions of insulin and GABA. It is not yet known which combination of neural afferents elicit insulin release from neurogliaform cells. However, it is reasonable to assume that strong excitatory inputs might contribute to the intracellular Ca2+ accumulation required for peptide release. One can speculate that insulin release could be synchronised to elevated overall activity in networks around neurogliaform neurons. This way transient local energy demand could be met by insulin release-driven additional glucose transport through insulin-dependent GLUT4, as suggested for epochs of intense hippocampal or cortical activity during cognitive processing . At the same time, the overall excitation-suppressing activity of insulin released from neurogliaform cells is likely to be coupled with the synchronous release and inhibitory action of GABA from neurogliaform cells, which might curtail energy demand. At the neuronal network level, insulin is an effective neuromodulatory peptide with an array of effects including control of food intake and body weight, regulation of the reproductive or hypothalamic–pituitary–gonadal axis, influencing neuronal survival and modulation of memory and cognitive processes [8, 12, 13, 14]. Apart from the classic cellular signalling pathways, insulin also acts through alternative mechanisms in neurons. Insulin directly opens neuronal ATP-gated potassium (KATP) channels, resulting in suppressed firing , and this signalling route was suggested as a mechanism for modulating hippocampal memory performance . Moreover, the action of insulin on neurons might interact with glucocorticoid signalling through opposite modulation of hippocampal GLUT4  and by additional mechanisms expertly reviewed previously [11, 54]. The effect of glibenclamide in triggering neuronal release of insulin  also suggests that the delivery of substances known to enhance insulin release from pancreatic beta cells to the brain might have therapeutic implications. An as-yet untested strategy for increasing insulin concentrations in key areas affected by Alzheimer’s disease, such as the hippocampus and neocortex, would be to boost insulin release from neurons or neuronal progenitors expressing insulin locally. Apart from sulfonylureas, incretins might represent a promising group of molecules to be tested for several reasons. Glucagon-like peptide 1 (GLP-1) receptors are expressed in neurons of the hippocampus and the neocortex , although the expression of GLP-1 receptors has not been documented on insulin-expressing neurons or neural progenitor cells. Interestingly, however, GLP-1 agonists have effects on tonic inhibitory GABAergic currents similar to those reported for insulin, arguing for a hypothetical contribution of GLP-1 receptor-mediated insulin release [68, 75]. GLP-1 is produced in the brainstem , suggesting that centrally synthesised GLP-1 could be effective within the brain via the mechanisms outlined above. However, GLP-1 produced by L-cells of the intestine crosses the blood–brain barrier  and thus incretins arriving from the periphery can possibly enhance insulin release from neurons in the brain. Importantly, these peripheral incretins include GLP-1 analogues prescribed in type 2 diabetes mellitus. We suggest that the weight loss caused by GLP-1 receptor analogue-based therapy (attributed primarily to the inhibition of gastric emptying ) might have an additional synergistic component through GLP-1 receptor-mediated insulin release from neurons of the brain. Human imaging studies suggest that the prefrontal cortex is crucial in the inhibitory control of food intake [78, 79, 80] and, hypothetically, expression of GLP-1 receptors on insulin-releasing neurogliaform neurons of the prefrontal cortex could provide mechanistic support for this process. Moreover, GLP-1 receptor agonists promise therapeutic effectiveness against neurodegeneration in models of Alzheimer’s, Huntington’s and Parkinson’s diseases [81, 82] and a scenario of GLP-1 receptor-mediated insulin synthesis in the brain could be extended to therapy for these diseases. The evidence for insulin synthesis in the brain raises the question of whether brain-derived insulin could be used to replace peripheral insulin in type 1 diabetes. Insulin synthesised in the brain is unlikely to cross the blood–brain barrier in the brain-to-blood direction in the quantity required for euglycaemic control of plasma glucose concentrations ; intranasal insulin delivery fails to increase plasma insulin levels significantly . An alternative approach might use autologous grafts of insulin-expressing neurons or neural progenitor cells as a potential replacement for lost pancreatic beta cells. Such neuron- or neural stem cell-based therapy of diabetes is suggested following the spectacular results of Kuwabara et al  that raised the possibility of neural stem cells isolated from the adult brain functionally replacing beta cells in diabetic patients [83, 84]. The suggested workflow for autologous neural stem cell-based therapy for diabetes is, critically, based on the suggestion that insulin-expressing neural stem cells of the dentate gyrus or the olfactory bulb might find similar molecular niches for their survival and insulin-expressing ability in the brain as well as in the pancreas, and that this might involve Wnt3 and neurogenic differentiation 1 (NeuroD) [45, 84]. Neural stem cells can be isolated from rodent and human olfactory bulbs [45, 85] and rat cells can be transplanted directly into the pancreas of diabetic rats , where the pancreatic niche reprograms neuronal stem cells via Wnt signalling to express insulin. Isolating neural stem cells from models of type 1 diabetes (induced by streptozotocin in rats) or type 2 diabetes (in Goto–Kakizaki rats) followed by transplantation to the pancreas of animals of the corresponding model confirmed that grafted cells survive and produce insulin for long periods (>10 weeks) and dramatically reduce blood glucose levels . The therapeutic potential for human diabetic patients is immense because no genetic manipulation is necessary and the procedure bypasses tumorigenic pluripotent stem cells and concerns inherent to chronic immunosuppression. The action of insulin is not restricted to peripheral organs. Insulin receptors and signal transduction pathways described in the periphery are involved in a wide array of functions in the central nervous system. It is generally accepted that insulin produced by pancreatic beta cells in physiological conditions or applied intranasally with a therapeutic purpose for mild to moderate Alzheimer’s disease finds its way to neurons of the cerebral cortex. The timescale of external insulin transport to the vicinity of neurons is relatively slow, consistent with long-term homeostatic regulation of neural networks. Recent work has overwhelmingly shown that insulin is also synthesised locally in the cerebral cortex. Neuron-derived insulin is capable of rapid modulation of synaptic and microcircuit mechanisms and is suggested to regulate on-demand energy homeostasis of neural networks. We suggest that novel therapeutic strategies might include modulation of neural insulin production in the brain by GLP-1 agonists for counteracting diabetes, obesity and neurodegenerative diseases. Recent experiments in which lost pancreatic beta cells were replaced by autologous transplants of insulin-producing neural progenitor cells signal the immense therapeutic potential of this approach for diabetes. Work in the authors’ laboratory is supported by the European Research Council Interimpact project, the Hungarian Academy of Sciences and by the National Brain Research Program, Hungary. Both authors were responsible for drafting the article and revising it critically for important intellectual content. Both authors approved the version to be published.